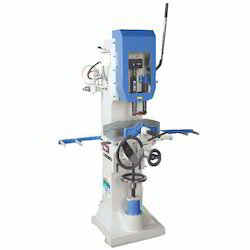 We are a leading Manufacturer of chisel mortiser machine, chain mortising machine and mortisers machine from Ahmedabad, India. 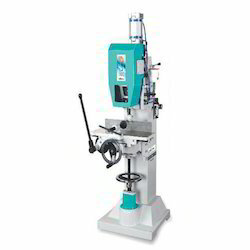 Table Size 455x150 mm/ 18x6"
Max Height of Workpiece on Table 254 mm / 10"
Max Height of Door or Frame 1000 mm / 39"
Max Depth of Cut Chain Mortiser 140 mm / 5"
Max Depth of Cut Chisel Mortiser 90 mm / 3"
Size of Dust Collection Port-Diameter 100 mm / 4"
Acclaimed in the industry as a manufacturer and supplier, we are engaged in offering Chisel Mortiser Machine. It is manufactured using quality raw materials and latest technology. Up/ down movement of table 75 mm / 3"
Cross movement of table 100 mm / 4"
Longitudinal movement of table 305 mm / 12"
Max. depth of cut 140 mm / 5"
Ours is an eminent organization, engaged in manufacturing and supplying Chain Mortising Machine. Up/ down movement of table 90/3" 75/3" 75/3"
Cross movement of table 100/4" 100/4" 100/4"
Longitudinal movement of table 305/12" 305/12" 305/12"
Max. 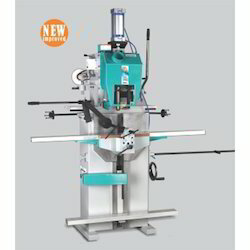 depth of cut 140/5" 140/5" 140/5"
Power required hp/rpm 3/1440" 2/1440" 2/1440"
Table Size 455x150 mm / 18x6"
Max Height of Workplace on Table 254 mm / 10"
Max Depth of Cut Chain 140 mm / 5"
Minimum Depth of Cut Chain 90 mm / 3"
We are one of the best firms offering Mortisers Machine to our clients. We design the given product following industrial standards by making use of best quality material and modern technology.